Visit our FAQ section for more information. *Cannot guarantee position of child’s hand. It’s up to the child whether their hand will be open or closed or whether their toes will be spread or curled…after all…that’s what makes it so unique! 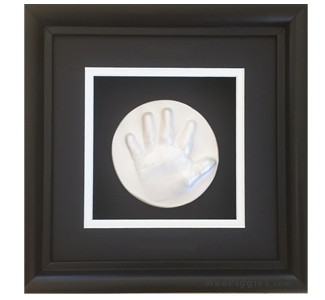 **A unique feature of this frame is that it has no glass…so you’re actually able to touch your child’s hands and feet.